This method is particularly useful for very dirty carpets because it gets deep-seated dirt. 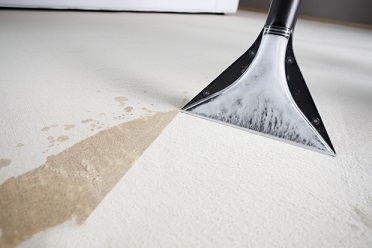 It is also useful for removing excess detergent from successive wet shampooings - and together the two methods can restore a very dirty, flattened carpet. Although hot water extraction machines can be rented, it is best to have this type of cleaning done by a professional cleaner because a certain amount of care is needed not to over-wet the carpet and, thus, distort the pile and backing.